I know Christmas is gone and it's already January, but the Christmassy feeling is one of the most peaceful I know, so why not prolong it into the New Year? And what other Christmassy place you know in this region but Alsace? If you just passed through Strasbourg you know what I'm talking about, but there is also Colmar and Riquewihr (if that's not a name form Lord of the Rings, I don't know what it is) and other small towns and places promoted and written about on blogs and present on vlogs and Instagram. Because you see, in this social media age, I've found out about this region from Instagram and thought "I'm just three hours away, why not give it a try?". Truth is , I've been to Strasbourg a lot of times and in the first year when we spent Christmas here we went to Strasbourg to celebrate it. It was a sad Christmas, because all the markets were closed, all the restaurants were closed and we ended up eating our "Christmas dinner" at a Chinese restaurant. But going there in the month before Christmas is great and its a bucket list experience you have to have once in your lifetime. 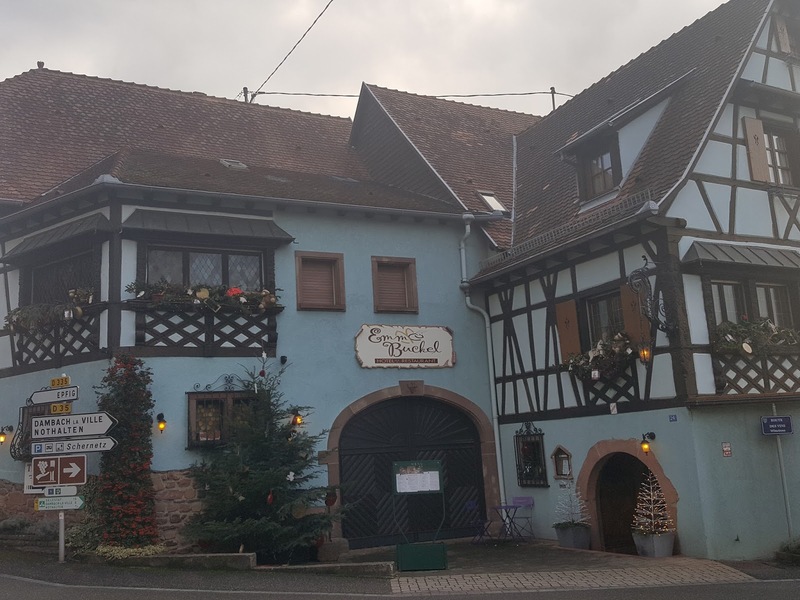 I consider myself a very lucky person, because although we intended to go to Colmar for a weekend, there were no rooms left at a reasonable price in Colmar and we picked the first good looking room in a town called, Itterswiller. This is the hotel where we stayed, it's a little family run inn which we found on booking.com. It was so lovely and the atmosphere was so nice that we decided to eat there and spend most of our time in that village. I am a big planner, but not such a big achiever so I will not bother you with my ambitious plan to write 12 blogs of Christmas and skip right on to the New Year's. I have no resolutions, because every year takes me by surprise, but I've come up with a new topic which I know you will like. Over the holidays we had friends over and every morning the "where are we going today?" question hanged around the coffee ritual. 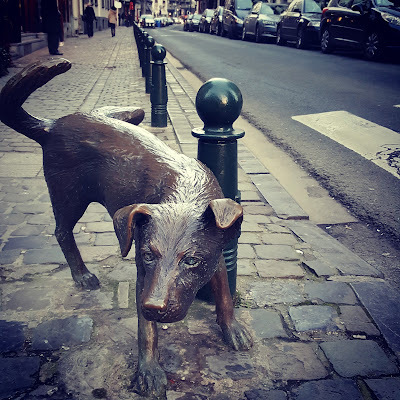 And let's face it, from Luxembourg you can pretty much travel anywhere you want in Europe, that being one of the features I love most about this little country. I won't promise to do other posts on similar topics, but I kinda want to talk to you about two day trips or even city brakes from Luxembourg, but we shall see. I have the attention span of a retriever so I do tend to lose interest quickly. Let's do this way, Luxembourg is surrounded by Germany, France and Belgium, but I will include in my post Nederlands as well because it too is close and can be reached within a day. Another disclaimer, one day trips, in my mind, are the places reachable within an hour, an hour an a half driving from Luxembourg. What is over two hours it's already too tiring, cause the driving time is actually four hours... you get my point? 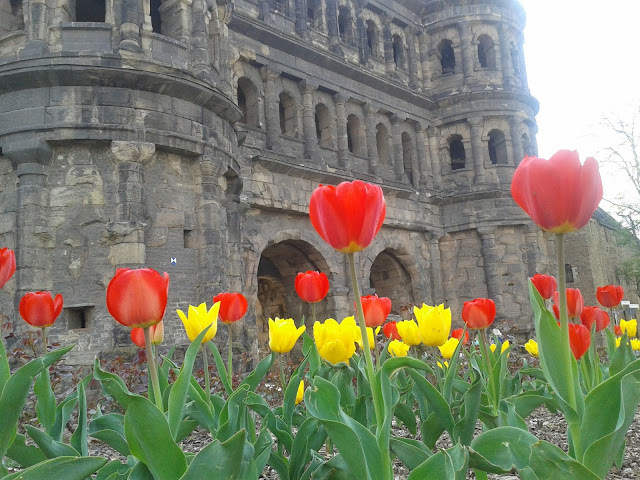 What I always recommend to see in Germany is Trier, especially if you are passionate about history and Roman times. In Trier, beside the beauty of the city and the abundance of stores at reasonable prices, you have the Porta Nigra. It's a gate which dates from Roman times. So if you ever marvelled at the Colosseum in Rome or wondered how the Segovia aqueduct survived, you better check out Porta Nigra in Trier. I always go out of my way to see it when in Trier. Also in Germany, you have Bernkastel-Kues a lovely town with timber framed houses which is very Instagramable. You also have a castle to check out and numerous small shops, so a day trip will definitely put you into the holiday mood.